These days, most malware employs long chain attack and anti-analysis techniques to make it more difficult to detect the payload and harder to analyze by security researchers. 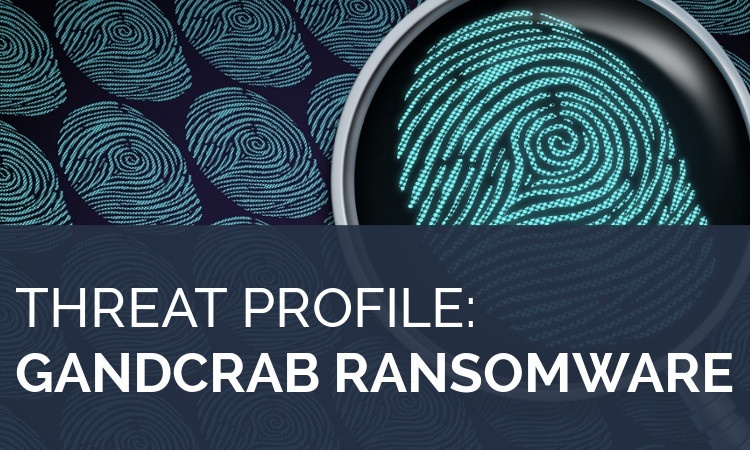 Such is the case with GandCrab, a new ransomware strain that entered the scene late last month and is currently active. Organizations with Morphisec as a memory defense layer were protected from GandCrab from the moment it emerged. GandCrab is being distributed as Ransomware-as-a-service by a Russian cybercrime groupthrough a profit-sharing “partner program.” Interestingly, according to Australian firm LMNTRIX Labs, the “partner program” prohibits the targeting of Russia and countries in the Commonwealth of Independent States including Azerbaijan, Armenia, Belarus, Kazakhstan, Kyrgyzstan, Moldova, Tajikistan, Turkmenistan, Uzbekistan and Ukraine. 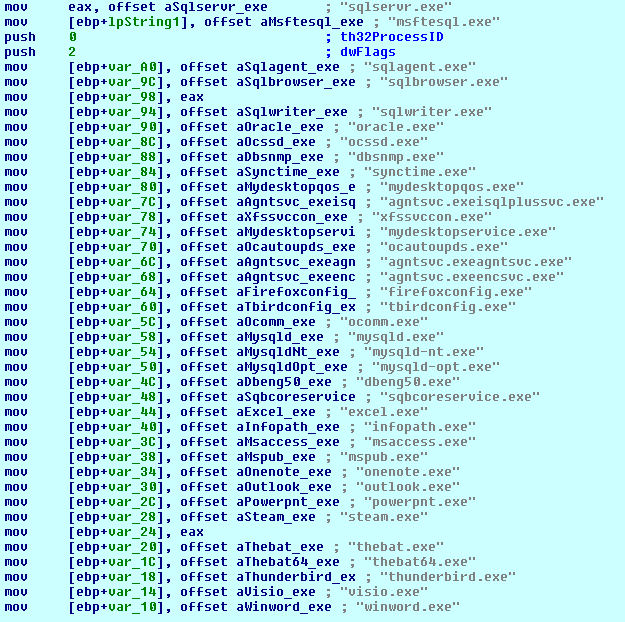 GandCrab is delivered primarily via the RIG and GrandSoft exploit kit. Other distribution mechanisms include the EiTest Hoefler Text Pop-up campaign (compromised websites), and a Necurs botnet-powered malspam campaign. Gandcrab ransomware is packed by a custom packer and uses multiple techniques to make it difficult for security researchers to analyze. 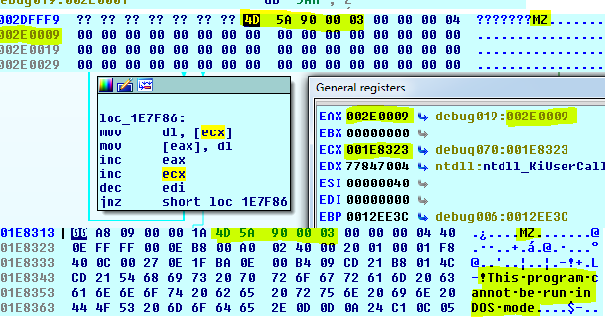 Packer-based malware is malware which is modified in the runtime memory using various sophisticated compression techniques. It is an easy method for hackers to create new signatures for the same malware on the fly, simply by changing the encryption/packing method. The GandCrab ransomware sample is a packed Windows executable. GandCrab is not identified as packed by standard tools, i.e., it uses a custom packer (for more about custom packers, see this analysis of another custom packer). We start by noticing an interesting, relatively high entropy in one of the sections (e.g. entropy of .rsrc is 7.79), which gives us the first indication that it is a packer. 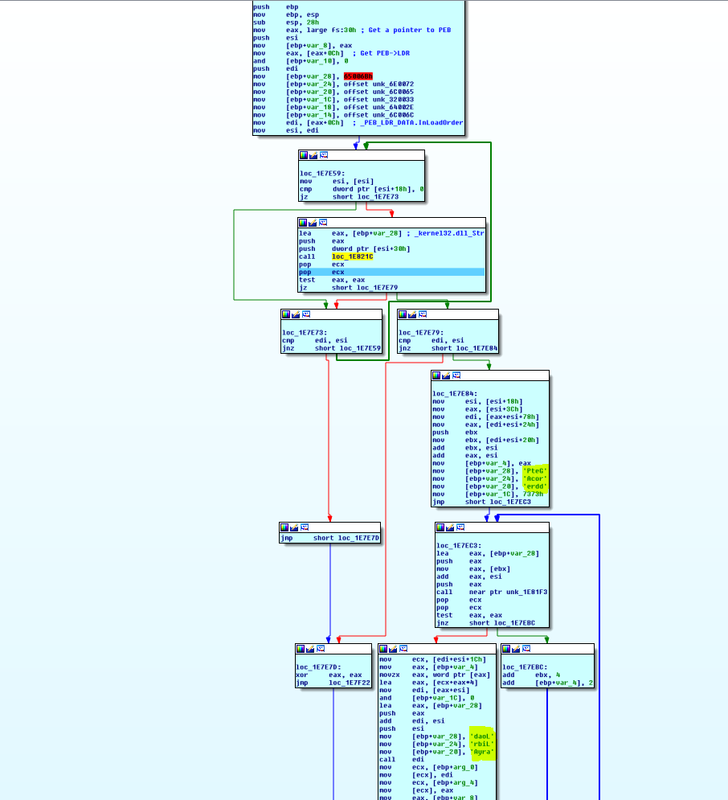 As shown in the image below, GlobalAlloc and VirutalProctect API are used to allocate memory and then modify the protection to RWE (read write execute) access rights. These are some of the indicators for the unpacked executable shellcode (the code will write and execute from the same location). Queries information about victim OS user. 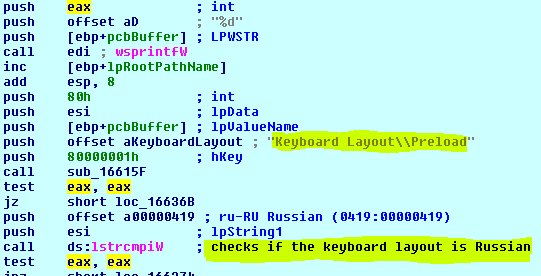 For example, keyboard type, computer name, presence of security solutions, localname, processor type, IP, OS version, disk space, system language, active drives, current Windows version and processor architecture (validates that the keyboard layout is not Russian). 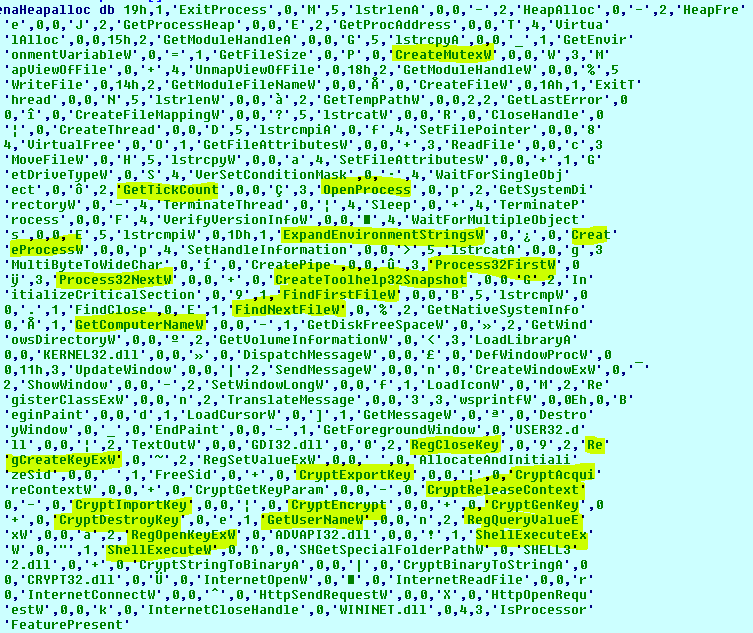 GandCrab uses the standard Microsoft crypto API from Advapi32.dll. It calls CryptGenKey with the RSA algorithm. The encrypted files use .GDCB as the file extension.Additionally, victims receive a GDCB-DECRYPT.txt file which serves as the ransom note. Surprisingly, the developers are asking for DASH cryptocurrency (lesser-known but more anonymous than Bitcoin) for a decryption key and to get back the original files. 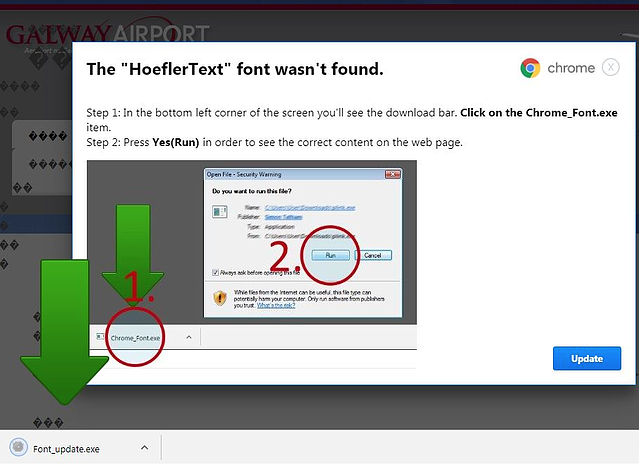 The “customer” support service is similar to Spora ransomware in that it provides a public communication to all its victims, with a 24/7 support chat service. How Does Morphisec Protect You from GandCrab? Morphisec stops GandCrab ransomware across its attack chain, both during the exploit delivery stage (exploit kits), and the ransomware payload stage (if downloaded directly). Morphisec customers are and have always been protected from GandCrab out of the box, no updates needed, back to the very first production version of Morphisec Endpoint Threat Prevention released 2 years ago. Stay in the loop with industry insight, cyber security trends, and cyber attack information and company updates.